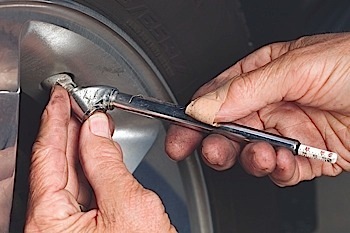 Q: When should tire pressure be checked? A: Most TPMSs are calibrated to a vehicle’s cold tire pressure, but check the owner’s manual for the correct procedure. Volvo, for instance, recommends a vehicle be parked for at least three hours before filling the tires with air to the cold tire pressure specs in the owner’s manual. If filling a warm tire, Volvo recommends going ­2-4 psi above the recommended cold tire pressure. This should switch off the low tire-pressure warning light if it is illuminated. Q: How does ambient temperature influence tire pressures? A: Ambient temperature affects tire pressure, and in the new world of TPMS where the vehicle is constantly monitoring tire pressure, these sometimes subtle changes in pressure could trigger the TPMS. For each 10° F of ambient temperature, tire pressures will change about 2%, or about 1 psi. So, as the seasons change, and as 70º F dips to 20º F in some parts of the country, that could mean a difference of 5 psi and a TPMS warning light. Also, you need to account for the temperature of the tire itself. As a vehicle is driven, its tires heat up, causing the air inside the tires to expand. In a TSB concerning TPMS warnings tied to cold ambient temperatures, Hyundai recommended that customers check and adjust tire pressure once a month. 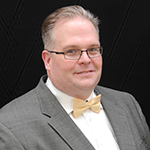 Q: What is the best investment a consumer and/or shop can make for servicing TPMSs? A: Buy yourself or the shop a quality tire pressure gauge. A quality tire pressure gauge should have a tolerance of ±1%. Anything beyond 2% can cause you to set tire pressures too low or too high. Also, treat a tire gauge like an expensive torque wrench. Dropping a gauge from only 4 feet can change the readings — this goes for both digital and analog gauges. Q: What signals from inside the shop can interfere with TPMS signals? A: Direct TPMS uses radio signal technology and is prone to interference. The majority of TPMS sensors are activated with a low frequency (LF) signal (125 KHz). This LF signal varies from vehicle to vehicle (some require more power than others), and forces the sensor to transmit. The TPMS sensors then transmit information and communicate via a UHF signal (314.9-433.92 MHz). So, anything transmitting in this range, or anything that would block a radio signal, such as metal, could cause moments of interference. But interference isn’t too common overall, and requires the interfering source to be within close range and remain constant for a period of time. Q: Will tightening the nut on a sensor fix a leak? A: A leak will not be eliminated by tightening the nut more. The sealing grommets are engineered to work at a specific torque. Any torque above the specified value will cause the seal to leak, and extra force may damage the nut and stem or fracture the sensor body. Q: What can be reused from a TPMS sensor? A: Never reuse the nut, grommets or valve stem. TPMS nuts are designed in anodized aluminum to eliminate the contact of two dissimilar metals that would create galvanic corrosion and material deterioration. The nut has a bonded lubricant to help provide the proper torque required for seating a new grommet. If a nut is reused, the anodized surface may be scratched away and corrosion may occur between the sensor, wheel and stem. The nut may then be impossible to torque to the correct specifications or remove due to corrosion on the threads. Grommets conform to the mating surface of the rim. The instant the nut is torqued, it starts to take on the shape of the surfaces it is sealing against. This memory cannot be erased. If the seal is reused, it could cause a slow leak. Q: Are TPMS sensors able to report on the status of their battery life? A: This depends on the TPMS sensor. There are some models that can send a signal to indicate reduced battery voltage if it dips below a specified limit, but not all sensors send such a signal, and this information is often inconsistent. For instance, cold temperatures can cause a temporary voltage reduction that corrects itself once the tires warm up. The only proven way to know how much battery life remains is to fully use the sensor to depletion. But a report on a sensor’s battery life might not be necessary after all, since these batteries have shown to have a fairly long shelf life. Road hazards and environmental decay are much bigger factors in sensor life than battery depletion, which underscores the need for proper service of TPMS sensors. Be sure to replace the wear items — the valve core, assembling nut, seal and dust cap — when necessary. Q: Can the Tire Type and/or Placard Value be changed if aftermarket tires or wheels are installed? A: The Tire Type (P Metric, LT Load Range C/D/E) and the Placard Value (Front Placard and Rear Placard, individually) are stored in the receiver as calibrations and can be revised on some vehicles through flash reprograming. Since the under-inflation threshold is calculated as a percentage of the placard, correcting the placard values when different tires are installed will bring the vehicle back into compliance. Q: Can Tire Pressure Monitoring be turned off? A: No. Tire Pressure Monitoring is now a mandated safety system in the United States and cannot knowingly be disabled by either an OEM or an aftermarket service provider (49 USC 30101). Q: Will a tire pressure sensor fit in every wheel? A: Stock wheels are designed to accommodate tire pressure sensors. 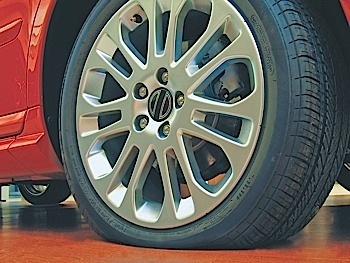 Many aftermarket wheels also accommodate tire pressure sensors, but not all do. In some, the valve stem hole is placed in such a way (pointing straight into the middle of the wheel on some off-road wheels) that the motion-detection components inside the sensor will not work correctly. Q: Why are dashes (” – – “), or a pressure value of 148 psi (1020 kPa), sometimes displayed after a battery disconnect? A: These displays come up after a battery disconnect/reconnect because the system is waiting for updated pressure information to be sent from the tire pressure sensors. As each sensor transmits its information, the display is updated appropriately. Note that when dashes or 148 psi (1020 kPa) are displayed after a battery disconnect/reconnect, the System Malfunction warning is NOT displayed because the system is still working properly and simply waiting for updated information from the sensors. Driving the vehicle above 20 mph (32 km/h) for 2 minutes gets the sensors talking, and restores the correct pressure values to the display. It is also possible to restore the values by using a TPMS tool by using the “Activate” function at each tire to activate the sensor (it is NOT necessary to put the system into Learn mode, in this particular case). Q: Do some TPMS relearn procedures require a tool that can connect to the OBD-II port? A: On some applications, the TPMS relearn tool can be connected to the vehicle’s OBD-II diagnostic connector to read and clear codes, display system data and perform sensor ID programming. On many Asian and European applications, each individual tire pressure sensor has a unique ID code. Vehicles that currently require this kind of reprogramming include most Hyundai, Infiniti, Kia, Lexus, Mitsubishi, Nissan, Subaru, Suzuki and Toyota models. If one or more sensors have been replaced, the new ID information has to be inputted directly into the system. So, if you don’t have a TPMS tool that can do this, your only alternative is to send your customer back to the new-car dealer to have the ID reprogramming done.